Each hosting plan comes with enterprise cPanel for full control of your website and 24/7 support. 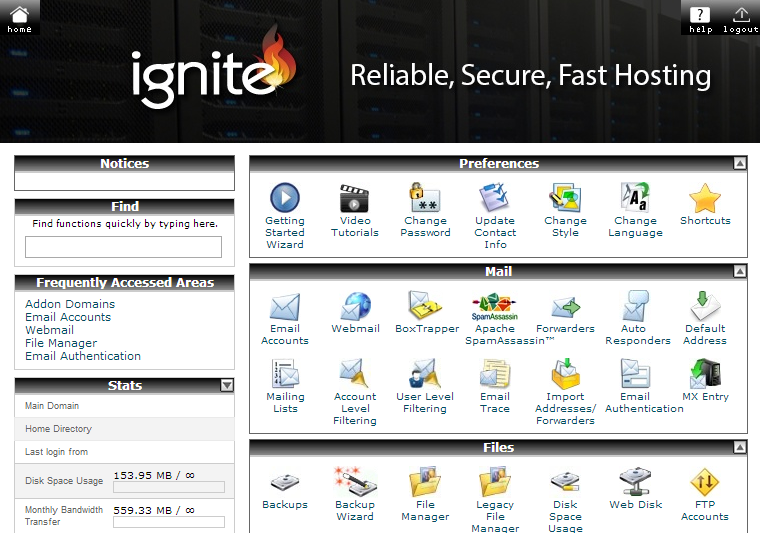 we only use the best in the industries when it comes to your hosting control panel. Easily manage your site through our friendly interactive control panel. 3.) Manage, make changes or updates, and save. Our visual icons help navigate the sections, assisting you in finding exactly what you are seeking. And if you encounter any roadblocks along the way, there are always FAQ's or Customer Support to help you move along. Just look for and click on the animated window in the lower right corner.